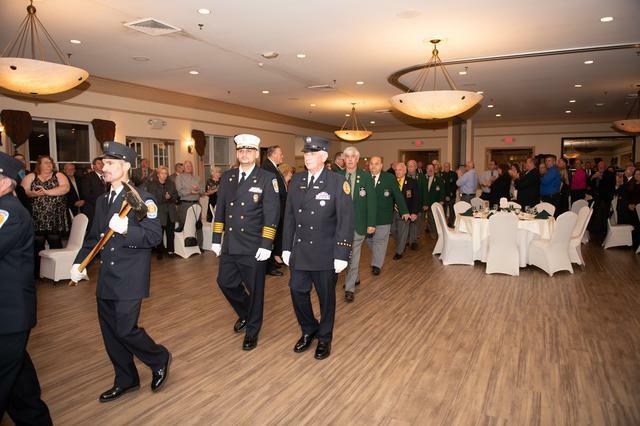 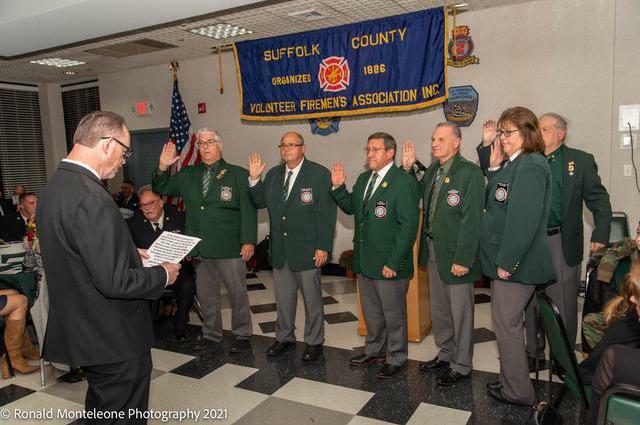 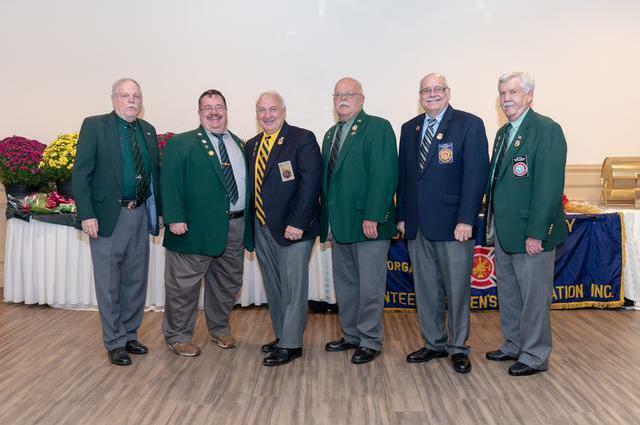 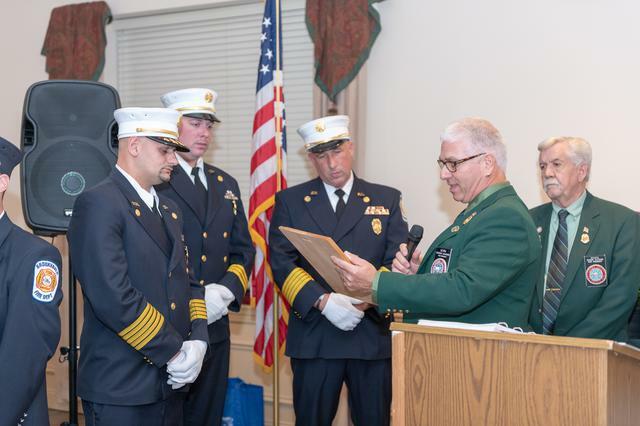 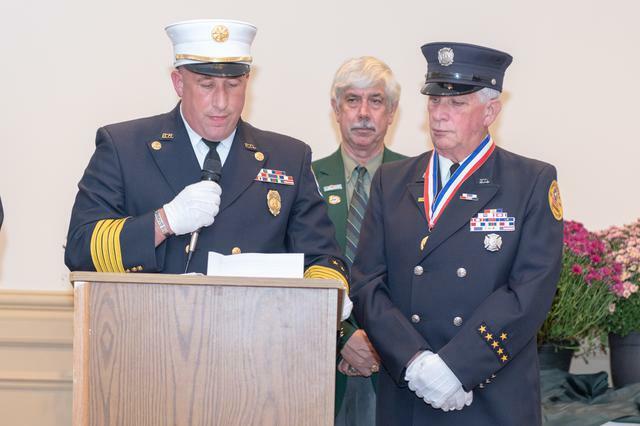 Scott Theobald, President of the Suffolk County Chiefs Council, makes a presentation to the "Firefighter of the Year", Firefighter Peter DiPinto, Sr.
President for 2019, Frank Guarino from the Hagerman Fire Department, is sworn into Office by N.Y.S. 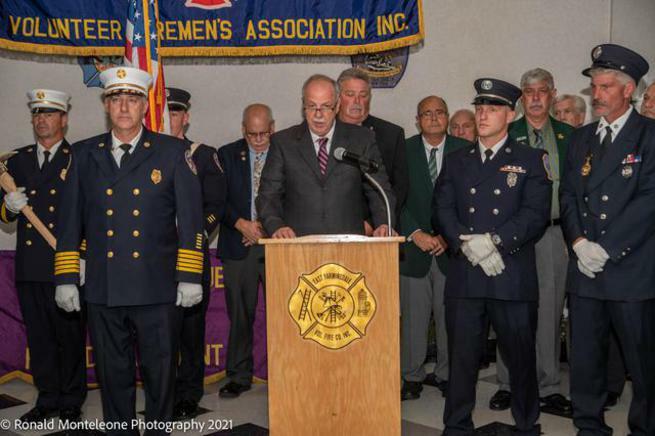 Assemblyman Dean Murray. 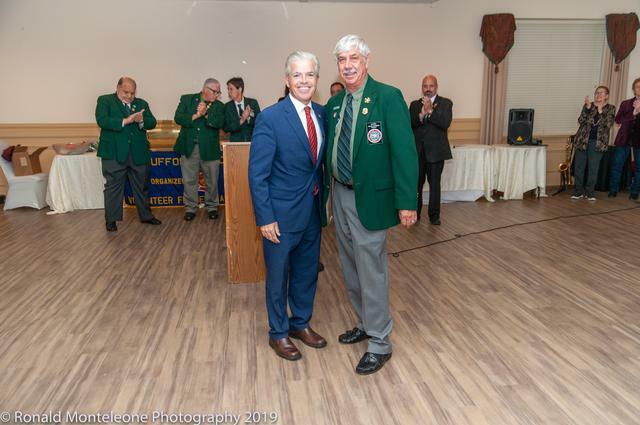 Newly elected President of the Suffolk County Volunteer Firemen's Association for 2019, Frank Guarino, congratulates outgoing President Chris Del Vecchio for a job well done. 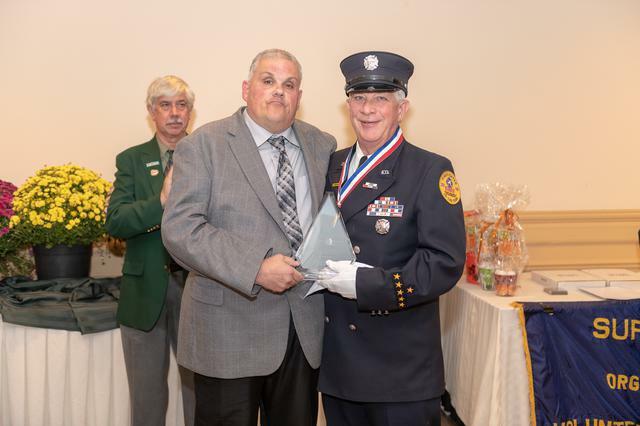 Chief of the Mastic Fire Department, Rudy Sunderman, presents outgoing President Chris Del Vecchio with a gift from the Mastic Fire Department and a Proclamation from Suffolk County. 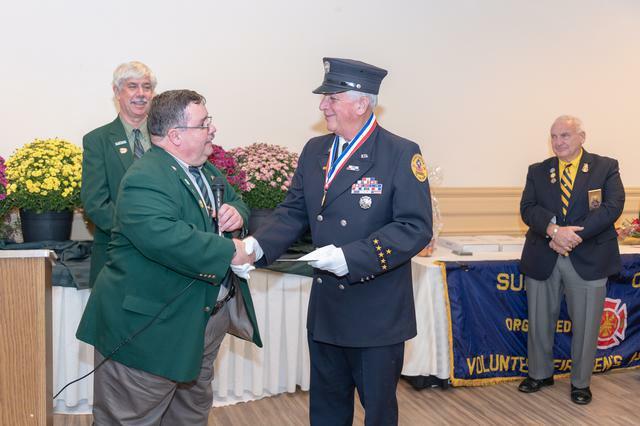 Newly elected President of the Suffolk County Volunteer Firemen's Association for 2019, Frank Guarino, presents outgoing President Chris Del Vecchio with a plaque and Past President's badge for his many years of service to the S.C.V.F.A. 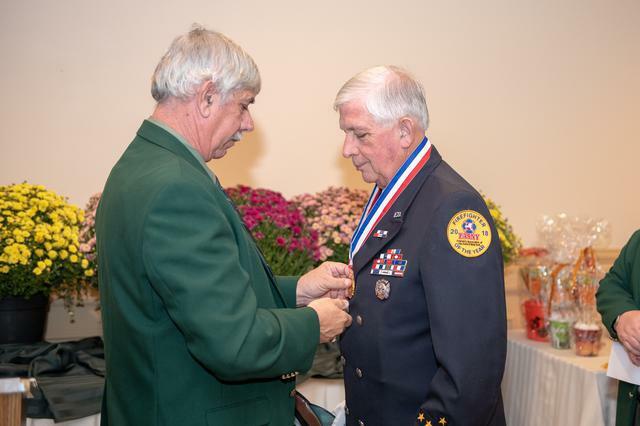 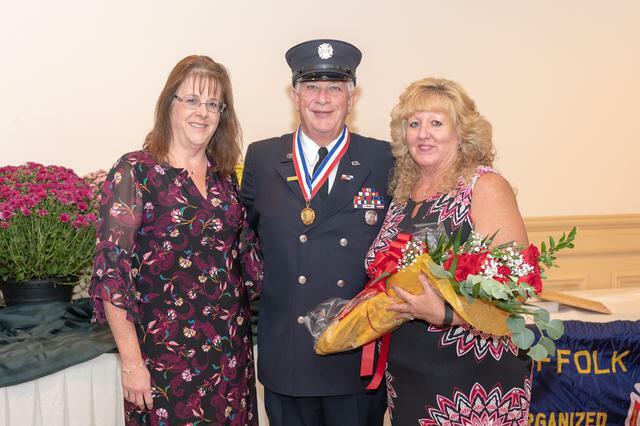 SCVFA President Frank Guarino presents the Medal of Valor to the 2018 SCVFA "Firefighter of the Year"
Jean Christensen, President of the SCVFALA, presents flowers to Laura DiPinto, wife of FFOTY Peter DiPinto, Sr.
1st Asst. 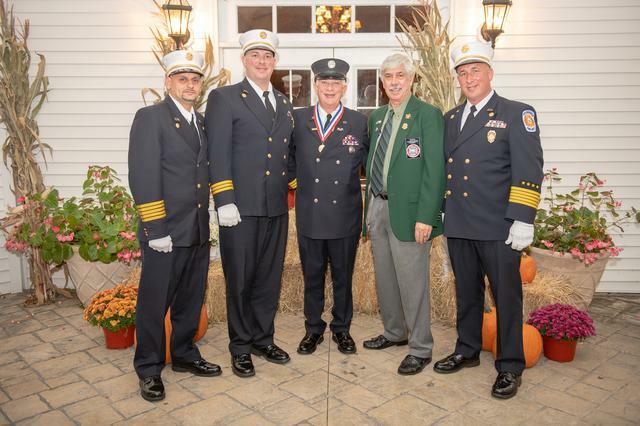 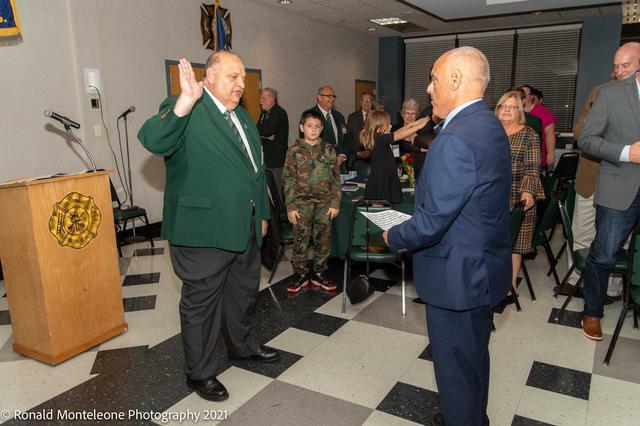 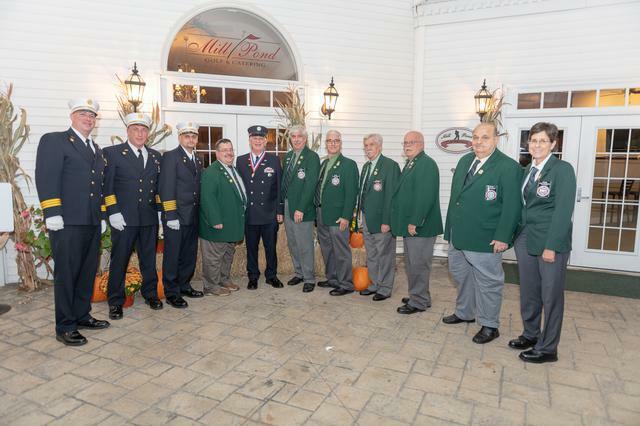 Chief Peter DiPinto, Jr.
1st Asst. 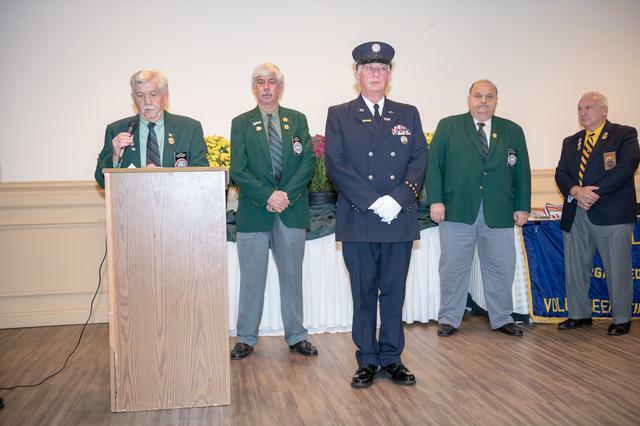 Chief Peter DiPinto, Jr. of the Brookhaven FD, son of the FFOTY, speaks on behalf of the Brookhaven Fire Department thanking the SCVFA for this most prestigious Award. 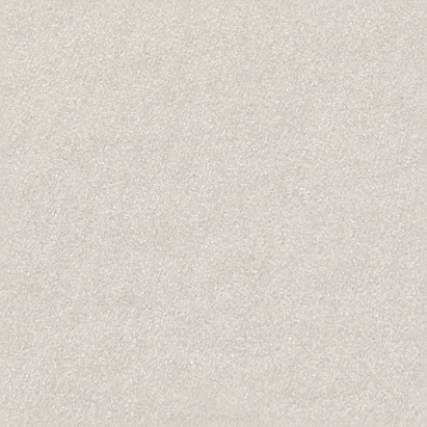 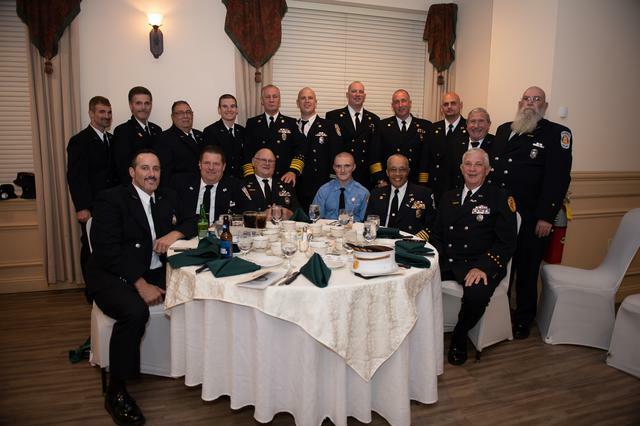 SCVFA 1st V.P. 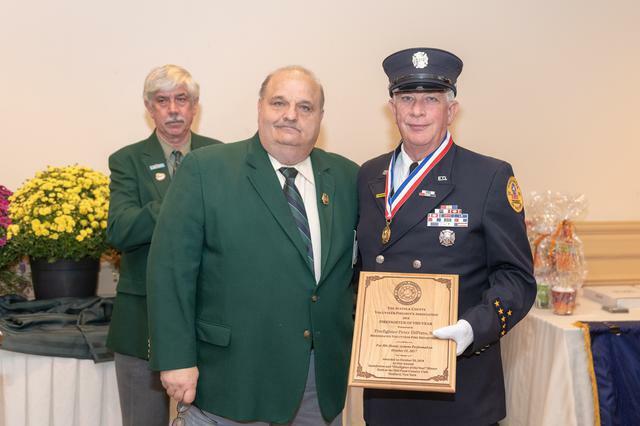 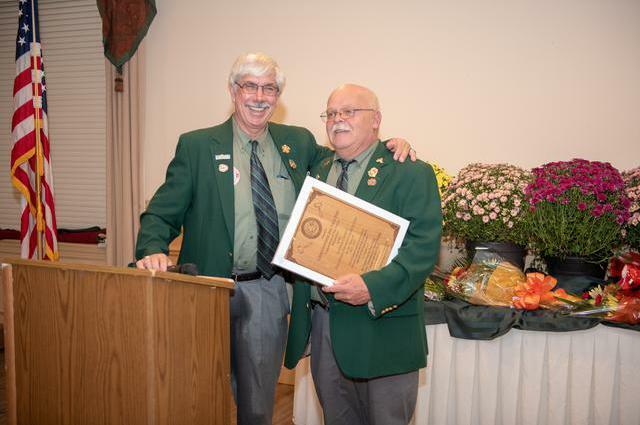 Robert Sutton presents the FFOTY Plaque to the 2018 SCVFA "Firefighter of the Year"
SCVFA President 2nd V.P. 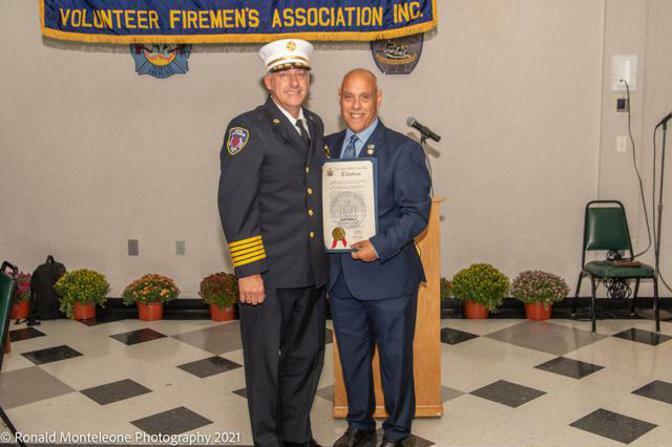 Peter Cincotta presents a monetary gift to the 2018 SCVFA "Firefighter of the Year"